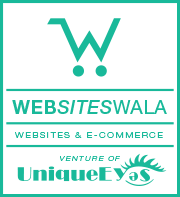 Upon expiration or effective termination of the Service by either party for any reason, (a) Websites Wala will cease providing the Service, (b) you will not be entitled to any refunds of any usage fees or any other fees, pro rata or otherwise, unless Websites Wala terminates such Service without cause, and (c) any outstanding balance for your usage of the Service through the effective date of such termination or expiration will be immediately due and payable in full. We reserve the right to modify or terminate the Websites Wala service for any reason, without notice at any time. Fraud: Without limiting any other remedies, Websites Wala may suspend or terminate your account if we suspect that you (by conviction, settlement, insurance or escrow investigation, or otherwise) have engaged in fraudulent activity in connection with the Site.